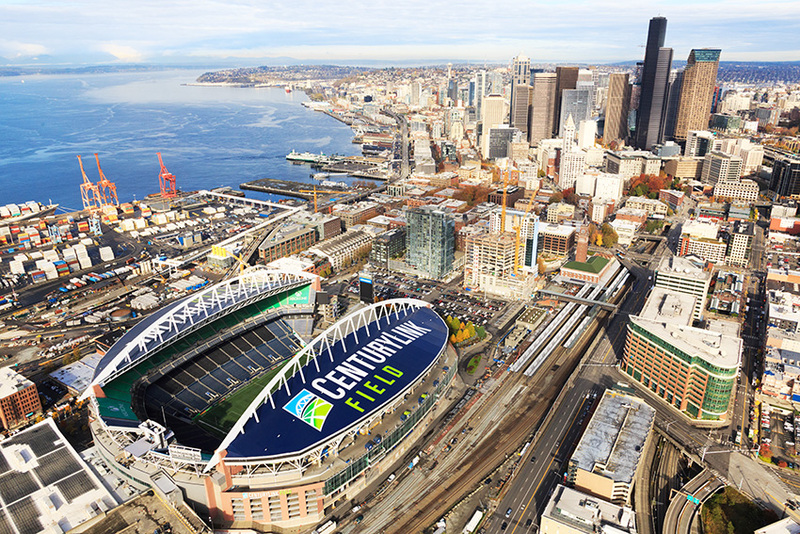 Washington Commercial Painters was hired to refresh the graphics on the 180,000 square foot roof of CenturyLink Field. In addition to sealing the roof, we were charged with refreshing the roof graphics. 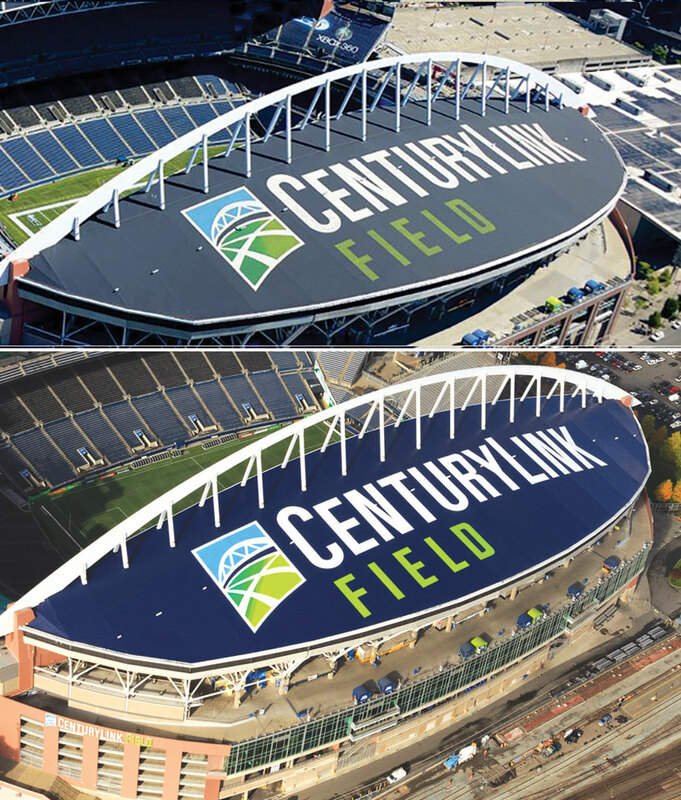 The dark blue background of the graphic was susceptible to fading (see before & after photo) so we solved the problem by thinking outside of the box. Instead of using an expensive non-fade product, we saved the client money by using a PPG Direct to Metal 20 Year paint. A total of 1,200 gallons were used on the three month job.